From what I’ve gathered, the singular nut or safety that secures the main rotor onto a helicopter is referred to as the Jesus nut. Failure of said nut would cause one to pray or evoke said name in a blasphemous nature while enjoying the effect of gravity on the way to your demise. Maybe that is why I like fixed wing aircraft more. There seems to be a little more redundancy and less of a singular Jesus nut factor overall. Starting Stearman spring annuals has caused me to ponder this issue due to a recurring overlooked item I am coming across during inspections. I screw up, often. My intention here is not to portray any mechanical superiority. I wish to share something that seems to be getting through the cracks more often than not. 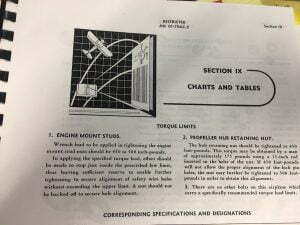 This issue is likely due to a declining base of expertise for the breed and a general misunderstanding of a basic airframe component that is unique in a given particular case. I am talking about the hardware that attaches the engine mount to the fuselage. 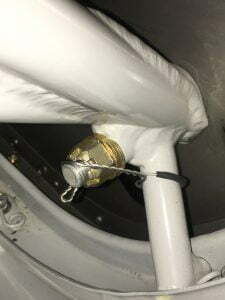 To a seasoned Stearman owner or mechanic this is eye rolling quality material however, if this issue continues to present itself during inspections it certainly does not hurt to raise awareness. In defense of the mechanic out in the field trying to do their respective job, the fastener in question presents itself as a castellated nut. 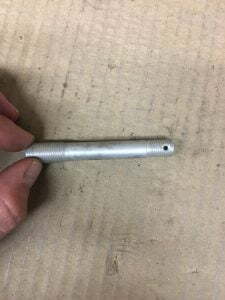 Mechanics know to install a cotter pin to safety a castellated nut. An exception is in the case of the Stearman engine mount to fuselage attaching hardware. The Stearman uses a threaded stud that screws into the four front corners of the fuselage. See photos 1a and 1b. The engine mount slides over these studs, castellated nuts secure the mount at each stud and torqued per Stearman maintenance instructions, section IX, item 1, and page 123. For aircraft that see a fair amount of use or are regularly doing aerobatics I recommend checking the torque of these at annual for two reasons. First you will find they loose torque after time. Typically the lowers. Second, you are checking for a broken stud as to which happens from time to time and may cause the mechanic and or owner to get a little religious for a moment or two. 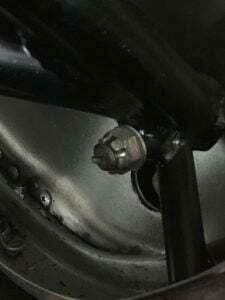 Not a full blown Jesus nut by true definition but certainly worthy of paying mind to since it is part of what holds your engine on the airplane. Incorrect safety of mount stud. 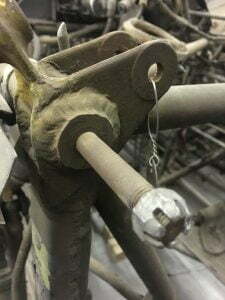 With an understanding of this arrangement you can now see the error in using a cotter pin, it safeties nothing! 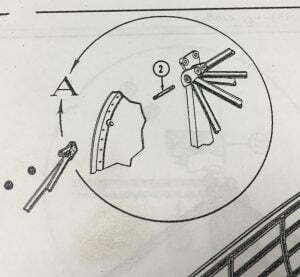 The nut and stud could back out as one assembly. This assembly should use safety wire as a means of security. We use some heat shrink tubing to allow some chafe protection where the wire wraps the engine mount leg.